Back in February, a new program based in the EU called Keychange, which is focused on helping women transform the music industry, announced that they had partnered with 45 different music festivals from around the globe in a pledge to help create fully gender balanced lineups by 2020. Considering how lopsided the current festival landscape is, with major festival lineups like Bonnaroo and Lollapalooza averaging somewhere around 20% female, committing to a 50/50 split will certainly take some work. Unfortunately most large festivals haven’t joined Keychange’s pledge, so the numbers will likely remain skewed for the foreseeable future. The folks behind the Pitchfork Music Festival also didn’t agree to have a gender balanced lineup by 2020. Instead, they’ve done it by 2018. Pitchfork is only one of two festivals (the other is Panorama) to do it this year, and while there’s been very little attention given to this fact, it’s absolutely worth noting and celebrating. Will they choose to continue booking lineups this way in the future? I guess we’ll find out in 2019 and beyond. For now though, it’s heartening to know that Pitchfork is taking the lead in helping to create a more progressive and hospitable festival experience for persons of all genders and types. 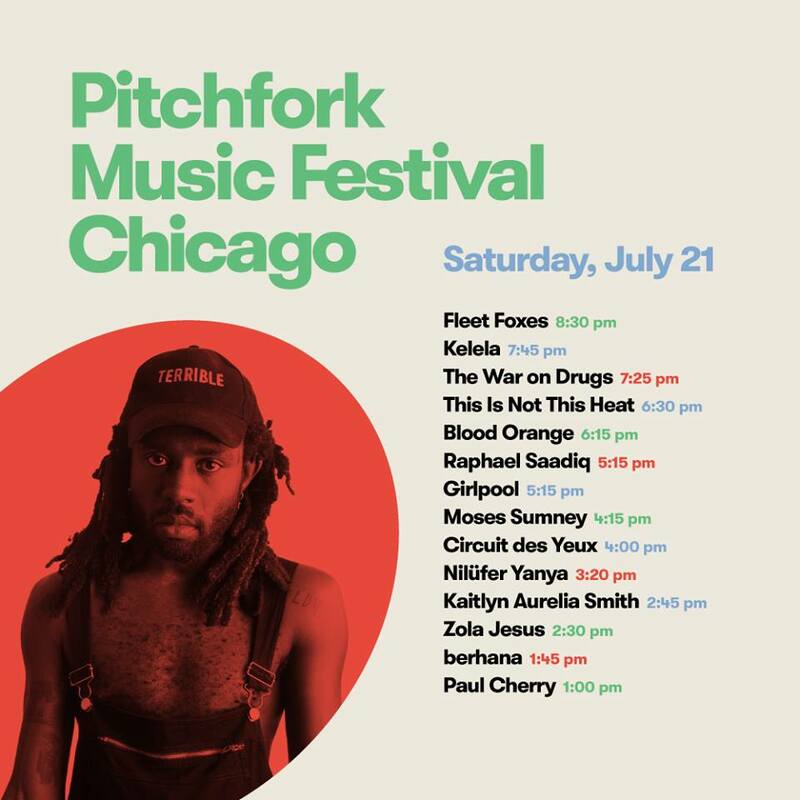 There’s a whole lot of talented women and men set to perform at Pitchfork on Saturday, and if you’re interested in learning more about them and who you should make an effort to see, read on below. Check back tomorrow for the Sunday preview guide, plus coverage of the festival all weekend long!